Switching to the last part of our trip.. the “compulsory” ski week every year. I don’t recall a single year that we didn’t ski even it was just a few days in a year. Most of it had been in Japan for the last couple of years. 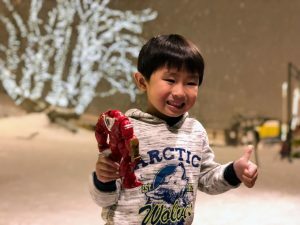 This year was no different, and I’ve probably gone with the most family friendly option – Hoshino Resort at Tomamu, Hokkaido. But before we head to Tomamu though, we had a couple of days at Sapporo. Our trip began with a late flight in on ANA Airlines from Okinawa direct to Chitose airport in the evening on 6th Jan, followed by 3 nights stay in Sapporo at a budget accommodation (mainly to compensate for the more expensive one later) called Unizo Inn. 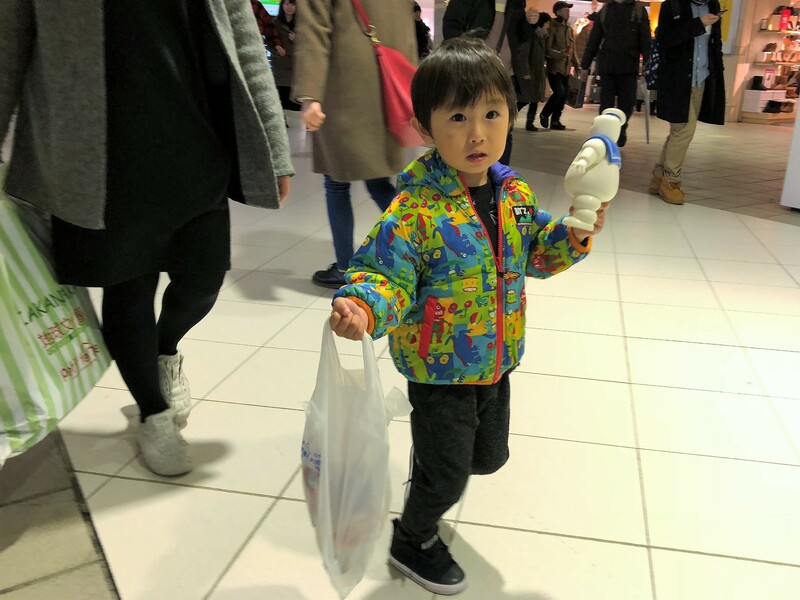 Sapporo isn’t part of the ski trip, but more to satisfy the needs of the shopaholic in our family before we are isolated from shopping centres. 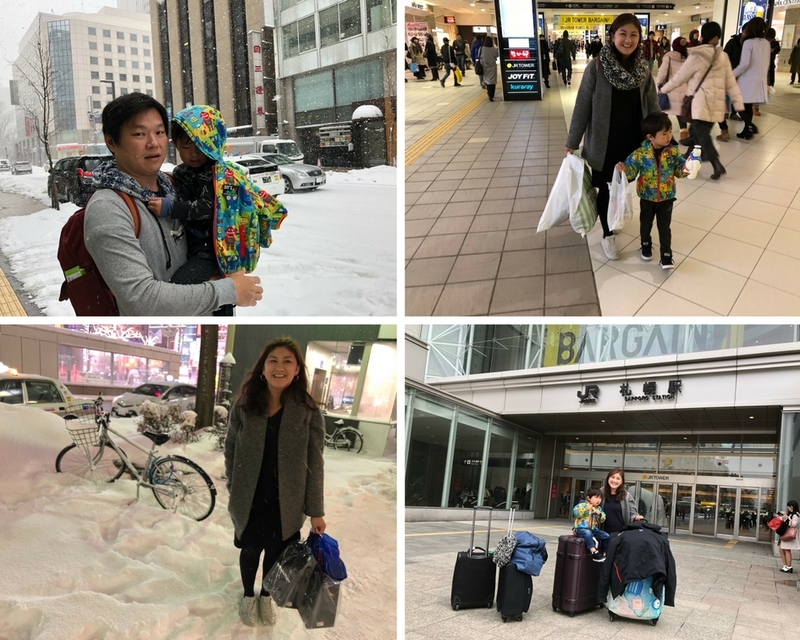 I chose to stay right near the underground malls of Sapporo Station, not just for convenience, but it turned out to be a great option for us to stay away from the cold, harsh weather of Sapporo! We really did spend most of our time underground in shopping malls and barely went out into the open areas at all! 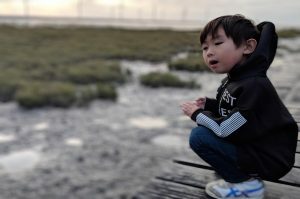 Just for the record, this is partially due to Ethan’s strange pet hate for wearing anything thick including jackets, jumpers or fleece which resulted in this need to spend our time mostly in indoor heated places. Yes.. he would rather freeze to death outside then putting on a jacket. Yes.. Bic Camera accepts Bitcoin! 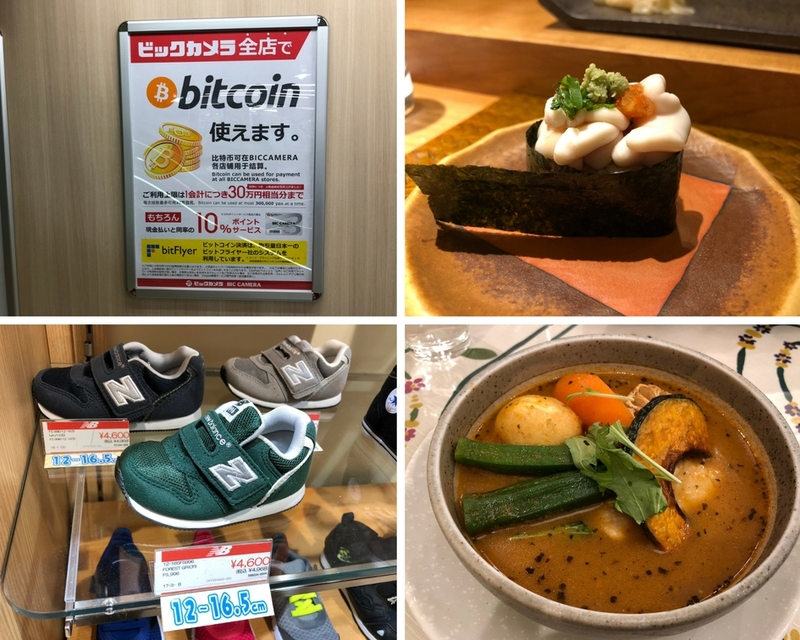 The year 2017 had been a big year for crypto currencies and I think Japan must be one of the few countries that so openly embraces it. I didn’t get a chance to try paying for our purchases with Bitcoin.. because the staff weren’t really able to answer my questions about how to pay for it with Bitcoin. It’s definitely something I will try out next time I go to Japan! We did try quite a number of sushi train shops this time round, mainly because that’s the only thing that Ethan would eat! It turned out to be a great choice because most sushi places were reasonably priced AND super tasty! We did also try one of the fancier one not far from where we stayed, called Sushi Natsume (鮨棗). That’s where I’ve tried fish sperm for the first time. Let’s just say, it wasn’t my thing. Besides lots of sushi, there was soup curry, which I should have noticed during my previous trips here, but didn’t. After tasting it though, there’s probably a reason why I never noticed it, because it doesn’t quite match up to plain Japanese curry on rice. Oh well..
We included plenty of visits to FamilyMart, Seven-Eleven or Lawson always ended up with us coming out with some kind of dessert namely chocolate ice cream and fruit alcoholic drink! And then there’s Aeon shopping centre at Shin Sapporo, where we spent an entire day. 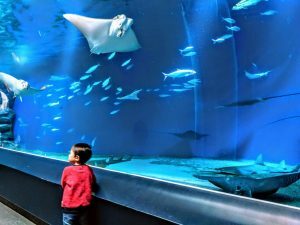 Again, it’s one of those Japanese malls with a bit of everything for all us, namely shopping for wifey and a playground that Ethan could play all day. Highly recommended for families. It’s hardly crowded too.. which is a bonus. You would think I would stop discovering new things, given we’ve been to Sapporo a couple of times (me at least), but I can tell ya.. I just can’t stop finding new things and never seem to get sick of coming to Japan too! Anyway.. it’s finally time to move out, and get a workout at our next destination.. Tomamu Ski Resort! awonglk: When I get a chance to go over to Sydney/Canberra, will definitely buzz you! Mark Stockden: How good are these Guitars? Any chance you would want to sell? I’m in the market for one.